We all know it's hard to fill up the days of the school holidays with no "I'm bored" comments - even if you have planned a days worth of activities! But the school holidays can be the perfect time to get creative and try some new activities. 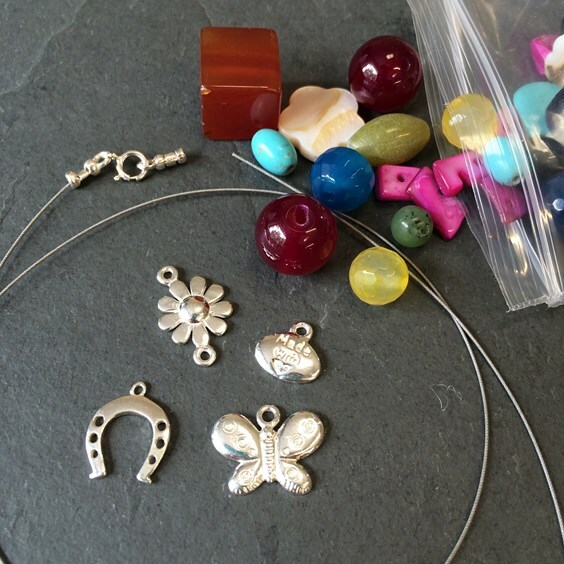 Here are our ten reasons why we think some basic jewellery making is the perfect activity for this school holiday. 1. It gets the creative juices flowing. Young minds are full of great ideas, so just see what lovely things they can create. 2. It requires technical and logical thinking. Great for learning and using their brains in different ways. 3. They can express their personality. Through their choice of gemstones and supplies they express their tastes and opinions. 4. They can create handmade things that they are proud of. This is great for boosting self esteem and confidence in their abilities. 5. It encourages them to appreciate Handmade. Making individual and unique pieces of jewellery rather than buying mass produced jewellery will help them to appreciate the abundance of small businesses out there selling their own amazing creations. 6. It takes time and concentration. Which may mean a little peace and quiet for you! 7. You can do it indoors or outdoors. If it's a lovely sunny day, why not take a rug and some refreshments into the garden and get fresh air while creating! If it's miserable and raining congregate around the dining room and spread out whilst creating. 8. Whilst the kids are making their jewellery you can make your own! 9. They can make friends and family birthday gifts. A thoughtful and beautifully unique way to give their friends and family something they will be sure to treasure forever. 10. It is a calming, soothing hobby which doesn't involve screens and noise. So is great for their wellbeing! 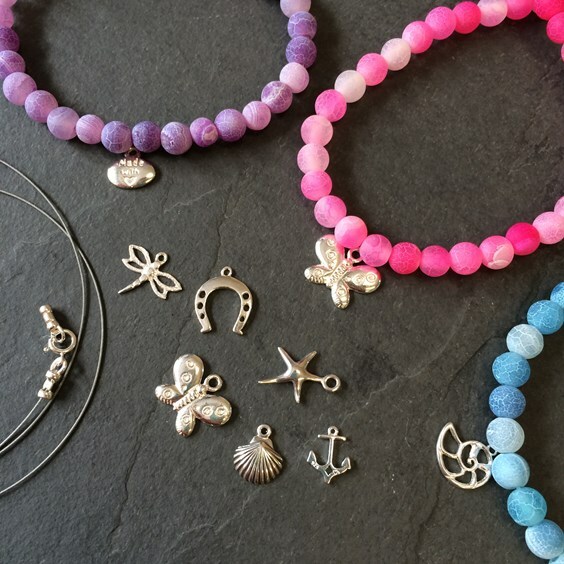 Be inspired by our lovely 'Ocean gemstone' bracelet, which simply involves threading on beads and knotting to make a lovely bracelet. Our hand dyed silk cords are so versatile and ideal for making a simple bracelet or necklace in minutes; simply thread on a charm bead or charm and away you go! Our boho tan turquoise bracelet is simple to make, just make sure an adult helps to glue the ends securely. Why not choose your own gemstone bead and make a simple friendship bracelet; this involved using pliers so is suitable for older children. 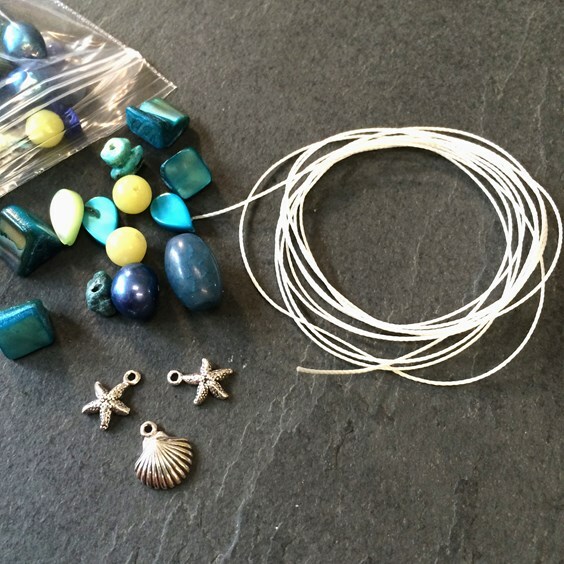 Or you can design your own jewellery by choosing from our large range of gemstone beads and bead stringing threads and tools. Make sure you take photos of your creations and tag us on Instagram, Facebook or Twitter!